Amazing Slots Vera & John boasts an amazing spread of slots. Vera and John Casino Review. Why Play at Vera and John Casino? Packed with hundreds of mobile slots and table games, Vera and John Casino might sound like a dinner-party couple but is actually one of the most solid casinos operating today as you’ll read in this Vera and John Casino Review. Licensed in Malta, and operating since 2011, Vera and John mixes a great interface targeted at mobile customers with top bonuses, great mobile games, and lots and lots of action. The first thing that strikes you when you visit Vera and John is the blue background. Look beyond the basic layout and you’ll discover an easy-to-use lobby that does what it says on the tin. In fairness, V&J is aimed at mobile customers using their smartphones or tablets. As such, there’s little difference between the functionality of the mobile site compared to the online client. That’s not a bad thing, of course, and even on our basic Android 5″ budget phone we were able to navigate without problems. The Cashier and Support tabs are easy to access, meanwhile, while the no-download software makes thing super-easy for all players. 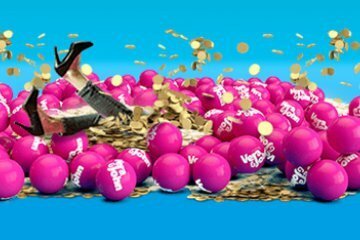 Currently, Vera and John Casino offers a mobile welcome bonus worth 100% up to £100. UK players get 30 free spins on selected NetEnt slots to boot – 10 each on Sparks, Stickers and Mega Fortune. There’s a 40x wagering requirement on both the free spins and welcome deposit bonus itself. However, only 15% of blackjack play contributes towards the welcome offer. 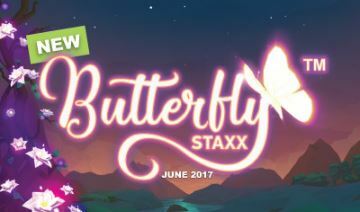 Regular promotions like Vera and John’s fifth birthday (celebrated in 2016, of course) rewarded players with 55 free spins on big slots like NetEnt’s Guns N Roses. Customers new and old can also earn special ‘Coins’ to spend in the Vera&John shop on merchandise and other gambling goodies. Vera and John Casino used to be the go-to casino for BetSoft 3D games fans. 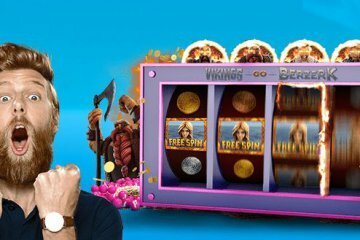 With BetSoft’s problems with their UK-based license, British players can no longer enjoy top slots like After Night Falls. Some of the big NetEnt Touch slots have also disappeared, including Disco Spins Touch and Lucky Angler Touch. However, those games are still available on Vera and John’s desktop site. Despite some big omissions, Vera and John Casino boasts an amazing spread of slots from the biggest developers. You’ll find top jackpot games like Mega Moolah sitting alongside NetEnt classics like Starburst and IGT’s Sherlock Holmes slot. Big new releases from NetEnt like Guns N’ Roses have also debuted here. Not just a one-developer pony, the casino has deals with Play N Go, NextGen, WMS and Leander in place too. The easily-laid out lobby with its familiar blue background isn’t a million miles away from Vera and John’s online client. Only a decent search function is lacking from the lobby. There’s a download app available for both Android and iOS. iPhone and iPad customers can get a download straight from iTunes while Windows phone players can access games via the instant-play client. The usual spread of solid payment options is available at Vera and John. Neteller, VISA, MasterCard, Maestro, paysafecard, Skrill, and ecoPayz can all be used and there are no fees with most options. Support is clearly signposted on the mobile site. There’s a freephone number available for UK players running 9am to 1am. Live chat is also available 12 hours a day from 9am. If you want access the biggest selection of NetEnt slots around, look no further than Vera and John. It might not boast the same level of promotions as some of its rivals, but the level of accessibility makes it a must for mobile casino players everywhere.